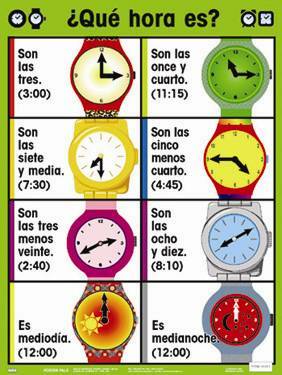 Here you can see how we say the time in Spanish and talk about class schedule. Flashcards with time and classes. A real clock for time. Concentration and matching with vocabulary about classes. Here you have some activities to practice the vocabulary about sports for Unidad 2 Lección 1 on our book and demonstratives adjectives.